"One life. One chance. One step." The movie starts out with Detective Hollis Lucetti (Terrence Howard) trying to do a good deed for someone, only to discover that he is not fertile and he probably never was. If he never had any children this would be a simple answer, but with two kids that call him daddy, his wife has some explaining to do. 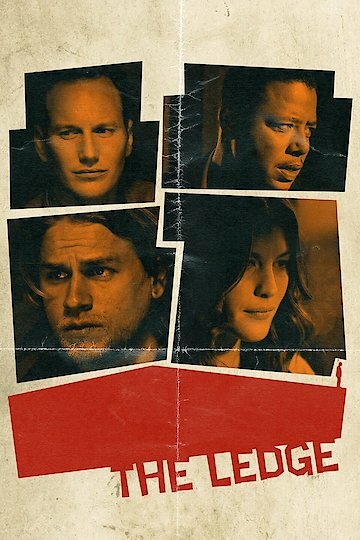 As a police officer Gavin is required to do some crisis negotiation and with everything going on in his life he is called to talk a jumper (Gavin Nichols - Charlie Hunnam) down from on a ledge. As he talks to Gavin he realizes that there is more here than meets the eye. This story is very strongly rooted in religious beliefs, with faith being on top of the list. As a Catholic, the good detective is someone who believes in God and what He stands for, but he quickly realizes that the person he is trying to save is an atheist. With the developing story taking place, Gavin is explaining to the detective what brought him to this stage of his life. He proceeds to reminisce about how his job brought him in contact with a new associate, one that he decided to have a relationship with, despite the fact that she is married. This drama touches on issues that deal with having to pray, the Bible, adultery and gay lifestyles. In addition to those matters, the Bible is quoted several times and is even used as a prop in the later scenes. There are several issues that relate to temptation and how we deal with it. As detective Lucetti follows the explanations of how Gavin gets to this point, he finds himself doing a little soul searching of his own life. An intriguing movie that is both written and directed by Matthew Chapman. Look for popular names like Liv Tyler (Shana Harris), Patrick Wilson (Joe Harris) and Christopher Gorham as they appear in the credits of this movie. The Ledge is currently available to watch and stream, buy on demand at Google Play, iTunes, YouTube VOD online.